The Thai Yoga Massage therapist takes the chair to the place where the client is, for instance at work office or an event. Onsite Thai Chair Massage is indicated for those who seek fast treatment and aditional yoga stretches mainly for people that have no time to go to gym or yoga classes. Professional in Thai Yoga Massage now introduces this knowledge and stretchings on massage chair. Office Thai Chair Massage and stretching increase the blood circulation in the muscles and as consequence this warming up reduces the risk of muscular tensions considerably, mainly in cold weather. Companies that offer to their employees sessions of Onsite Corporate Thai Chair Massage periodically increase the concentration and the employees productivity, creativity, decision, developement of abilities, communication and positive attitude. With the correct application of the tecnique of Seated Thai Massage, the client will feel instant relief of pains, physical and mental fatigue, stress, muscular discomfort, headache and improvement in blood circulation. We offer 5, 10, 15, 20 or 30 minutes treatments. Below are the tables for each. In a period of 6 hours 1 therapist can do 20 massages of 15 minutes each. More then one professional, just multiply, say 2 therapists per 6 hours = £ 384. Prices include VAT. Travel to London zone 1 and 2 is free of charge. fast progress in 20 minutes: it reactivates energy lost day by day. 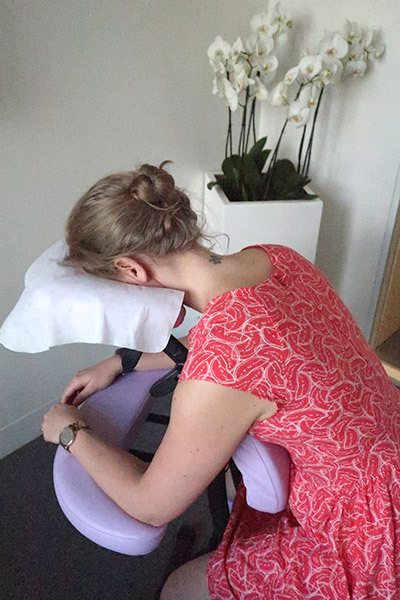 A session of OnSite Thai Chair Massage also help people that work at office to relax and face the rest of the day with disposition. Mobile therapists come to your office. London Onsite Thai Chair Massage have an average duration of 20 minutes. Enter in contact to discuss how can we increase the life quality at work. minimum investment with masseur's recruiting and payment for combined time. Applied in promotion events for customers, the Seated Thai Massage increases customer's satisfaction and the sales. The employer mental and physical well being reduces their concern and it elevates the moral. 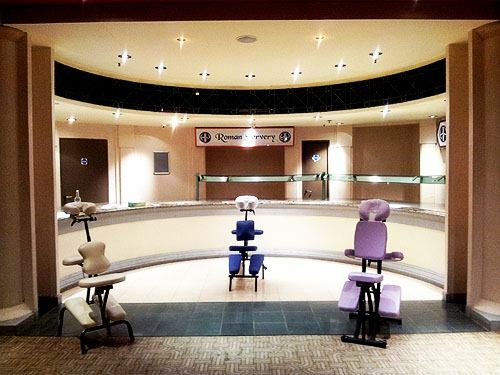 In 15 minutes you will receive more specific short treatment, back, shoulders and neck massage. 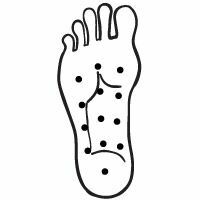 Acupressure points along the spine are covered.